The main goal of Lakepoint Chiropractic is to help each of our patients achieve optimal health. But that isn't why most people come to us in the first place. For most, pain is the motivator and a desire for relief. Most of our patients come to us complaining of back pain, headaches, inability to sleep, neck pain, numbness and tingling or because of a serious injury. To achieve optimal health we address correcting the cause, not just treating symptoms. We address the whole person because we believe the foundation of optimal health is a balance of body, mind and spirit which is why we provide such a wide range of compatible services and products. We feel "hands-on health" accurately describes our friendly and compassionate approach to creating a healing environment where the emphasis is on "caring". At Lakepoint Chiropractic, our goal is to put the "care " back into healthcare! 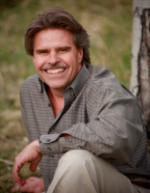 Doctor Douglas Petty is Board Certified by the National Board of Chiropractic Examiners and the Colorado Chiropractic Board and regularly attends seminars to learn new techniques and methods. Dr. Petty, better known as "Dr. Doug" to his patients, works together with the office staff and therapists to provide thorough care to maximize your healing potential. Not Just For "Back Pain"
Dr. Doug has taken hundreds of hours of continuing education courses, many of which were in the study of extremity adjusting. These treatments can be very effective in treating many conditions including back pain, carpal tunnel syndrome, tennis elbow, painful shoulders, knees, ankles, even jaw pain (TMJ) and headaches. You've already read about our practice and all the services that we provide, but don't just take our word for it - see what our patient's have to say - read our testimonials! "Although there are many chiropractors, there are very few that I would trust to work on me, and there are only a handful that I would trust to care for my family. Dr. Petty is in that select group. His professionalism and skill is extraordinary, but his primary characteristic that truly sets him apart is that Doug deeply cares about people. He is genuinely interested in his patients' lives in addition to being deeply concerned with their health."